these chocolate covered strawberries are heavenly. personally i have never been a fan of the chocolate dip, but the boys at chocolate covered company have come up with something sneaky - - - magnificence! i am now a believer... this chocolate is not waxy and the strawberry is lush, huge, and it has flavor (it is no where near those genetically modified tasteless strawberries). the large berries are quite elegant with colored streams and the smaller berries are adorable with miniature heart sprinkles. the packaging is in a silver box and they are cushioned really well for shipping. theo takes you to an old polo lounge with an octogenarian bar tender. 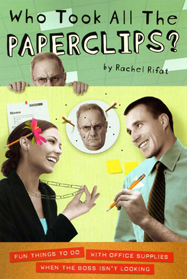 He is an incredible raconteur and your new best friend. the bar is very boozy with direct hits of currant, prunes, and whisky. there is a nice peppery spice that appears very mildly in the background. this is a warm and cozy bar. go to the humidor, take out a cigar, go by the fire, sit in the red leather chair with the high back, smile at your dog curled up on the carpet, and endulge in this chocolate. the coffee bean crunch of the bar is lovely and it would go great with red wine. it is very smoky, musky, and masuline (i'm thinking... smokey bear). you will feel like a man with hair on the chest with this one. what a clever little bar. this chocolate is comprised of grapefruit and chile peppers. it is a bar i highly recommend getting. you are hit with a citrus punch and left with a lingering hot pepper tickle. by the way, get a jar of piment d'espelette to make a perfect goat cheese salad. just sprinkle it onto a flattened ball of goat cheese... put it in the broiler on top of thinly sliced french bread... then place it on your perfect salad (dressing made with french mustard, sea salt, pepper, olive oil, herbes du provence, and balsamic). if you want the full recipe, leave a comment and i will get it to you. dolfin is quite a fabulous company. they put out some of the best and most interesting chocolate. i was expecting a very hot and spicy bar... instead, it was quite delicate with a very gingery fruit taste (you may feel that you have been bitten by a gingerbread man). the bar is richly exotic, quite comforting, and soothing. get it. dale and thomas popcorn: pop bar: rich milk chocolate with exploding candy chunks.... (pop rocks)! this is a great novelty bar. it is completely amusing and at first bite, you will find a very active party in your mouth. one might think that the crunchy chocolate has rice crispies in it - - - actually it is full of unflavoured pop-rocks. once the chocolate melts onto the tongue, the pops go off like wildfire... and once you think it is over, the popping still continues (do this as the last bar for a chocolate tasting or wait some time for the next bar). the milk chocolate is very smooth and creamy but it would be great to see them carry this in dark. this bar is entertaining and quite shocking. my god! there is passion in a 3½ x 5½ inch red ostrich paper envelope wrapped by an imperial belt!!! discover the exquisite craftmanship of antica pasticceria muzzi and you will find a perfect bar of milk chocolate with a tint of salt. this trinitario al sale bar is delicious and it is clearly evident it is made with a lot of love. the bar is molded with angels at each corner. i am thrilled that every single detail including the taste is absolutely gorgeous. 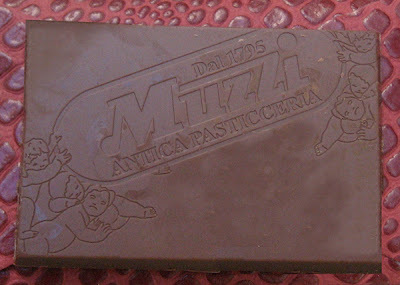 muzzi enclosed a lovely note about their company and chocolate. click on the top image so you can clearly read the note...i cannot wait to buy their other products. delicious, pure, and absolutely royal... time to get out that tiara and put it on! very nice coffee finish. very interesting transitions of flavours with a final touch of cherry. The actual flavor compounds found in dark chocolate exceed those of red wine, and detecting all these notes can be an extremely fun and educational endeavor. The following will serve as a guideline so that you can extract the fullest flavor potential from dark chocolate. Photo: Eating chocolate. Copyright 1886. Find a location free from background noise, such as television, music, a crying baby, road traffic noise or just talkative friends etc. Being able to concentrate as intently as possible will facilitate flavor detection. Repeat the process with a different chocolate. The comparison will highlight the subtle flavor notes in each chocolate. By sure to cleanse your palate thoroughly before tasting each different chocolate. Dark chocolate is also an excellent energy source because it releases slowly into the bloodstream and does not elevate insulin levels. (Indeed, dark chocolate has a GI rating of a mere 22.) As a result, the sustained energy it provides is ideal for endurance activities and even weight training routines. If you don't like dark chocolate, start with a very mild dark chocolate such as 45-55% cacao. A good example of this is Bournville, an easily available brand (in the UK) with distinctive packaging. Mild dark chocolate will taste similar to milk chocolate and won't be too bitter. If you are more adventurous, you can get dark chocolates that go all the way up to 100% cacao (i.e., unsweetened). The formation of whitish spots, or bloom, on chocolate is due to a separation of some of the fat in the chocolate. While it affects the aesthetics of the chocolate somewhat, it isn't harmful to eat or use chocolate that has bloomed. Bloom is related to heat and humidity, so store chocolate in a cool, dry place free of odors. Remember that most of all, you should enjoy dark chocolate, and don't be too pretentious because you'll turn people off instead of turning them on to dark chocolate. amano has an excellent texture and taste - - - the chocolate is very smooth and earthy. i taste truffles - a forest full! this bar is also incredibly sensuous and it got nigel quite excited! if you are seeking a fine chocolate or feeling lonely, definitely check this company out! If you love Cadbury’s chocolates, you definitely owe a note of thanks to the Society of Friends. As a young man, Cadbury hoped to pursue a career in medicine or law. But because Quakers were discriminated against by all of the major universities at the time, John decided to focus on business. Believing that alcohol only exacerbated society’s ills, Cadbury decided to focus on a happy alternative: chocolate and drinking cocoas. 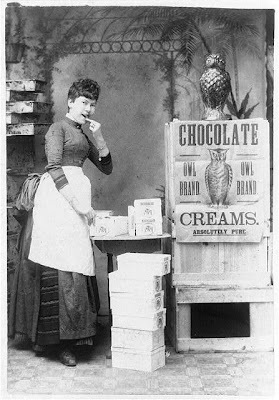 In addition to his views on temperance, Cadbury was also a bit of an activist. He led a campaign to stop the use of boys as chimney sweeps, and he founded an organization to prevent animal cruelty. like a good hermitage, this bean to bar is superior when it comes to taking degustation on a journey of flavours. the palate is tickled with a ruby red grapefruit splash then it succumbs to the enchanting aromas of a rich dense forest. the bar is smooth and perfectly made. applause! check out patric. 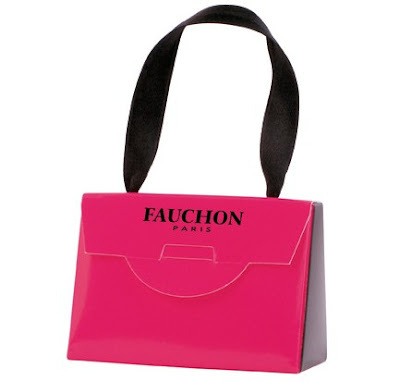 not only is napoleon known for short man syndrome, but he is also credited with championing the empire style which brought culture and arts to france... the byproduct of napoleon's work is found in this cute little sac rose package... a pink and black purse with a satin handle and a fauchon label. this pricey parisian chocolate, with giant hazelnuts, is absolutely divine and completely delicious.